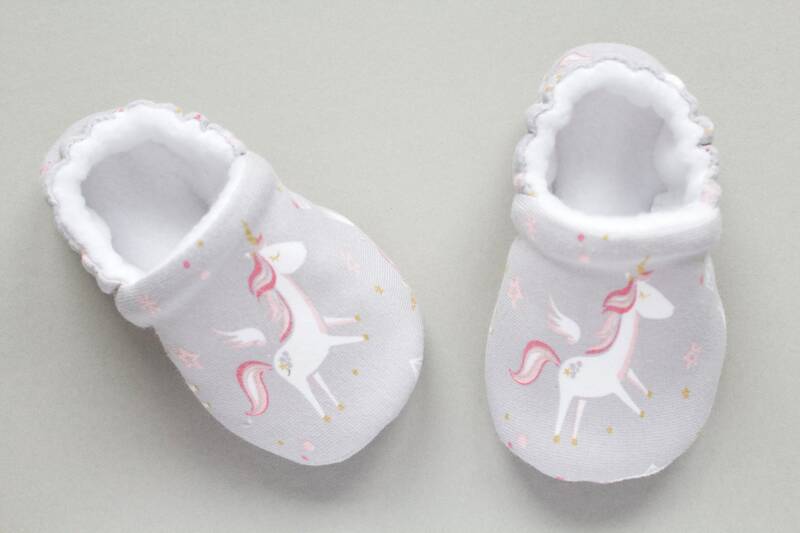 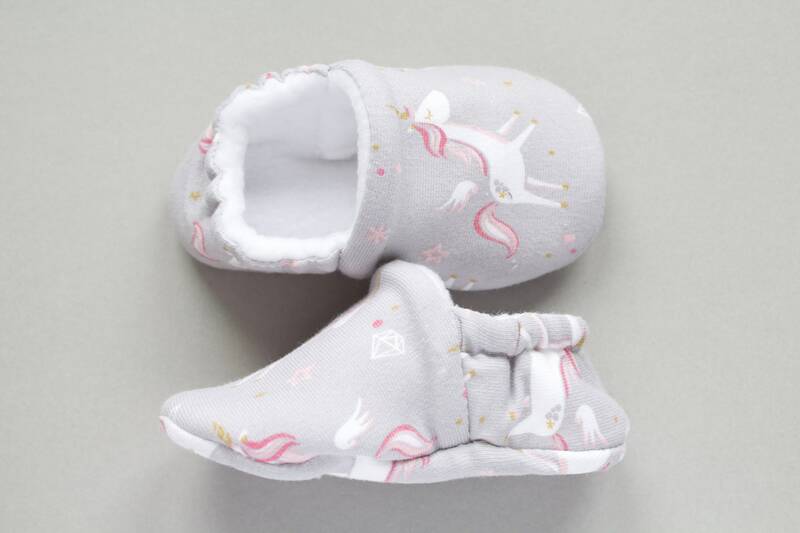 Baby shoe, Baby girls shoe, Grey soft jersey fabric unicorn print shoe with soft fleece lining. 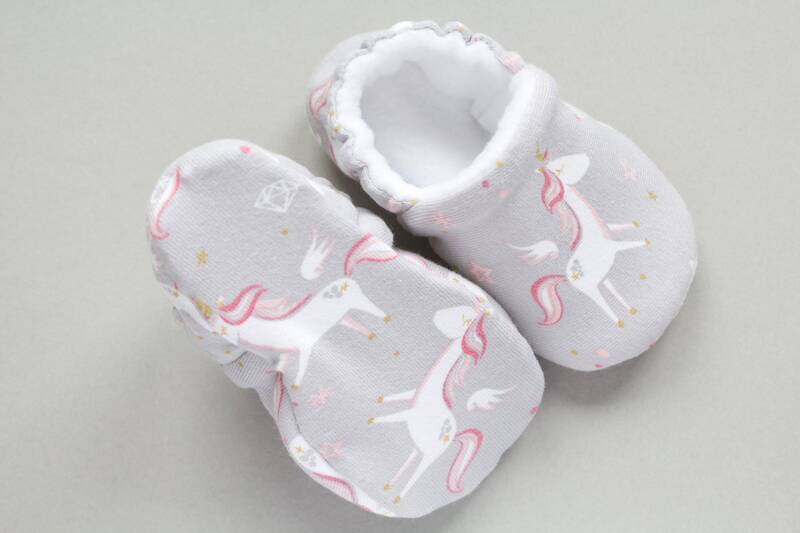 baby shower gift idea. 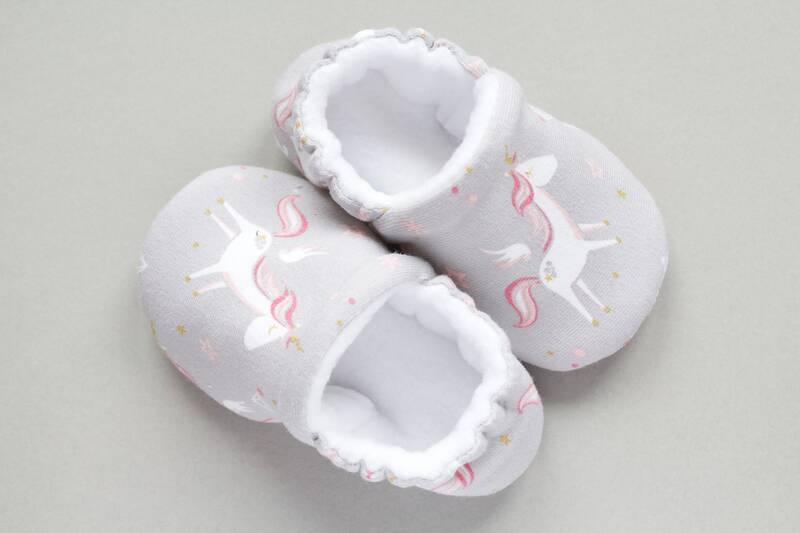 These shoes are fully lined with white fleece. 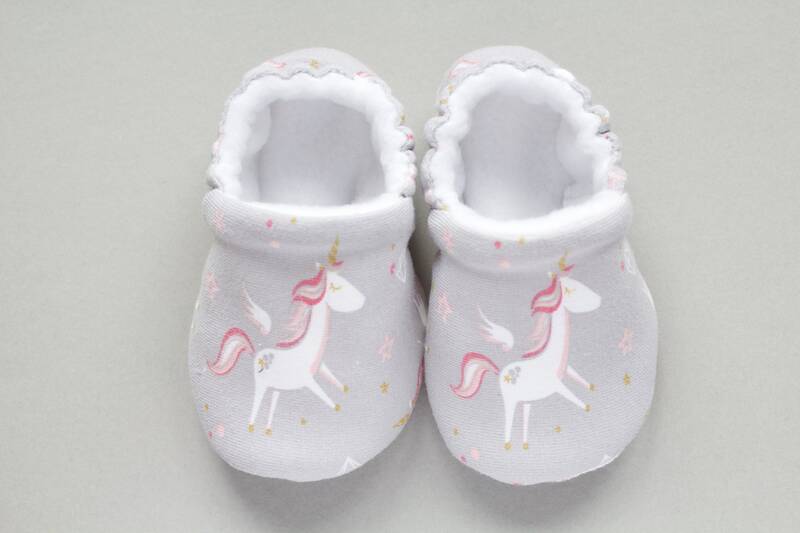 Seams are concealed within the shoe making it more comfortable for baby to wear,If you choose 12-18m or upwards the sole will be anti slip. 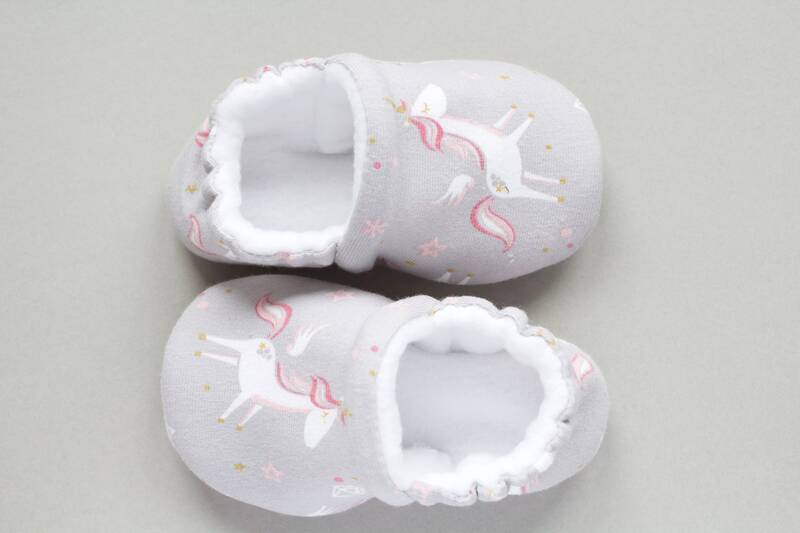 Please measure your little girls feet before you purchase these shoes and be sure to add 1CM for growing and wiggle room.